Chai Mitzvah #2 will focus on Tzedakah/ Philanthropy. 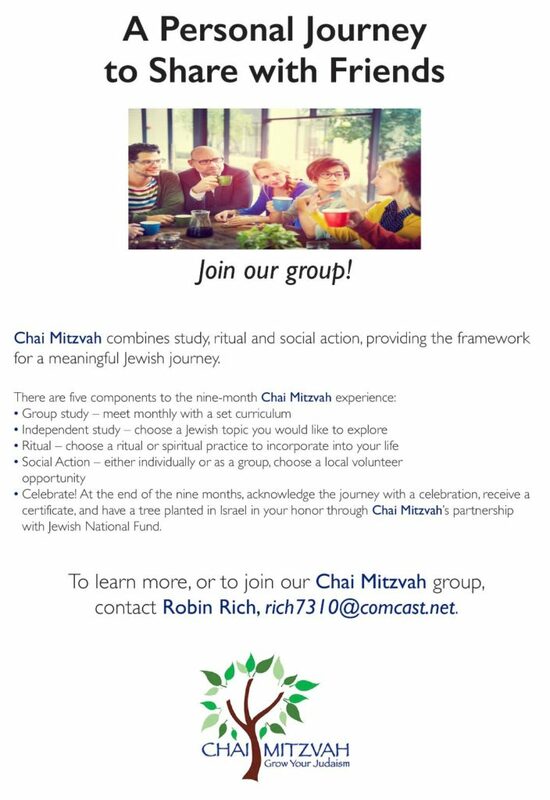 Rabbi Damsky will lead the class and it is open to all who want to engage in Jewish learning in a hands-on way. Cost for materials is $18 for Temple and Sisterhood members; $36 for others. We hope you will join us! Copyright © 2019 Temple Israel. All rights reserved.